Spring has certainly SPRUNG hasn't it!? I love spring here in Arizona - you just can't beat the weather. It's absolutely perfect. And although the pool is still a smidge too cold for me, it sure looks inviting! Luckily, my husband has been keeping our pool in tip top shape so it's ready when I am! If you're new to the whole pool care business or maybe want a refresher on some basics, here are some general maintenance and tips you might find useful! Have you made it out to a Spring Training game or worked out in the yard? Have you been out hiking to see our beautiful desert and the gorgeous flowers we have right now (I have and it's amazing!). Have you been able to enjoy the wonderful parks or attractions like the Desert Botanical Garden or maybe the Musical Instrument Museum ? (Just a couple of our great local customers.) Whatever you've been up to so far, we hope you are enjoying yourself doing it and we also hope you leave a little shopping time in there! 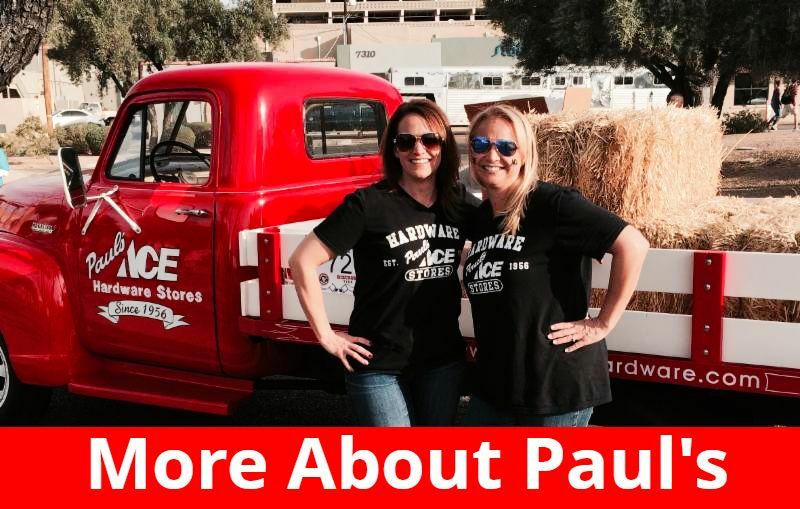 There are two super packed ads and two super cool events happening this month around Paul's ace Hardware stores and we don't want you to miss them. Check out our Calendar to check them all out and make your plans . It's time to get those outdoor living spaces in shape and get out to enjoy them! 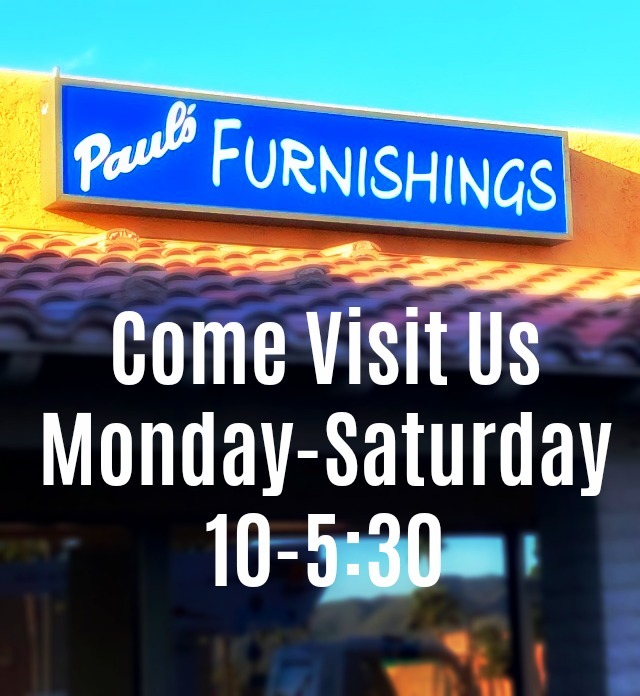 We are so excited to announce the opening of Paul’s Furnishings, a new, NEW furniture store featuring residential and patio furniture from Ashley Furniture. Now open at the North East corner of LaMontana and Palisades Blvd in the Recycled Home shopping center in Fountain Hills. We have collaborated with Recycled Home & Sonoran Style and have put together an assortment of furniture and décor from Ashley Furniture, Mexican import furniture, and offerings from Ace Hardware. To celebrate, we are having our GRAND OPENING next week, April 8-13 with some awesome discounts and Enter to Win FREE furniture! Bring your Enter to Win form with you to come check it all out and Find your NEW Style! In February, we asked you to round up your purchases, and you did. 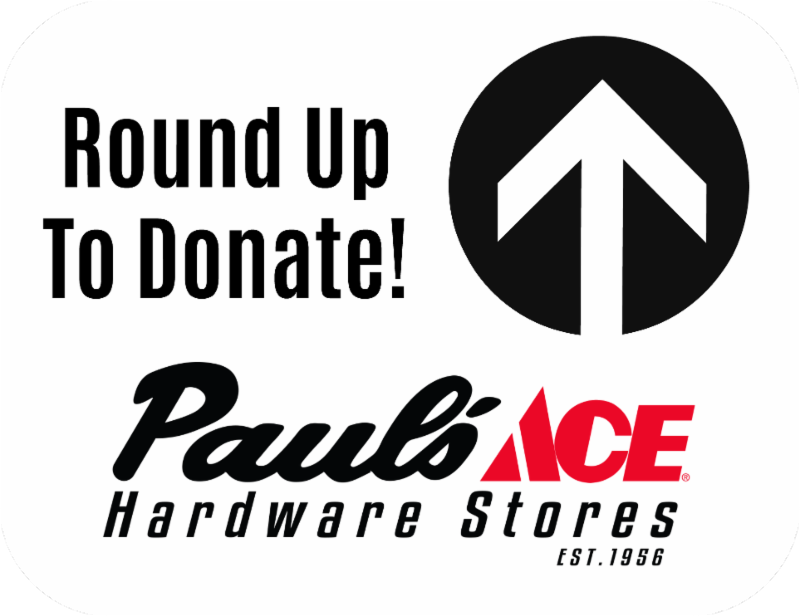 If you remember, you raised over $2500 across all 8 Paul's Ace Hardware locations to benefit some fantastic local charities and organizations. Pretty cool if you ask me. In March, we had some more fantastic local charities and organizations lined up - Coronado High School PTSO, Fountain Hills Theater, Hope Women's Center, HD South (Gilbert Historical Museum), Ace One Youth Theater, Underdog Rescue, Tranquility Trail and Aspire Arizona Foundation. Want to know how much you all raised in March!?!!! It's finally spring so of course it's time to get outside and Party! 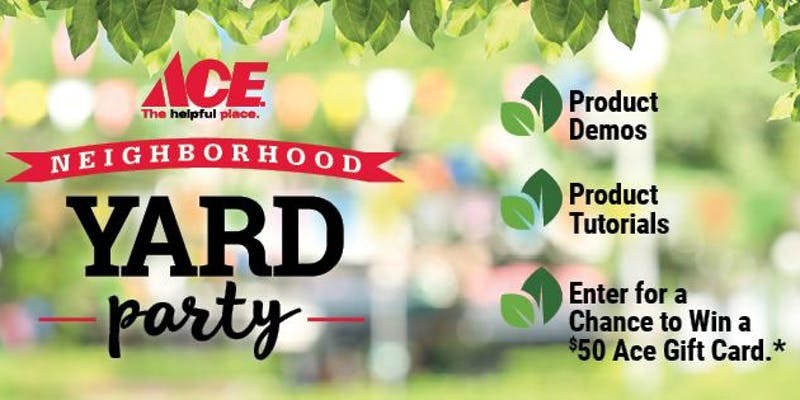 Come on down to your favorite Paul's Ace Hardware location for our Neighborhood Yard Party! We will have our experts on hand to help walk you through those tough yard projects and questions, like what weed control is best for you, and what insect control should you be using. We will have treats and fun for everyone! 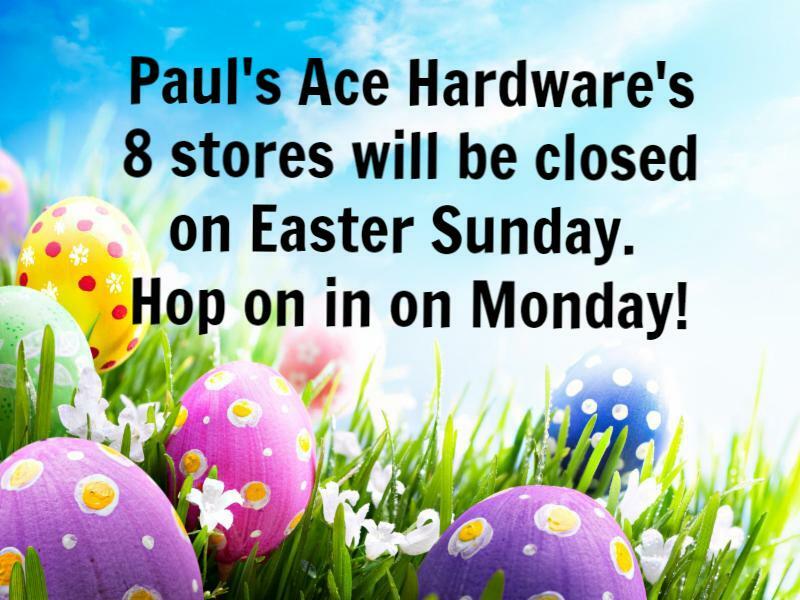 So make sure to stop on in to your favorite Paul's Ace Hardware location and party with us! Honey* is a powerhouse of health benefits, both internal and external. 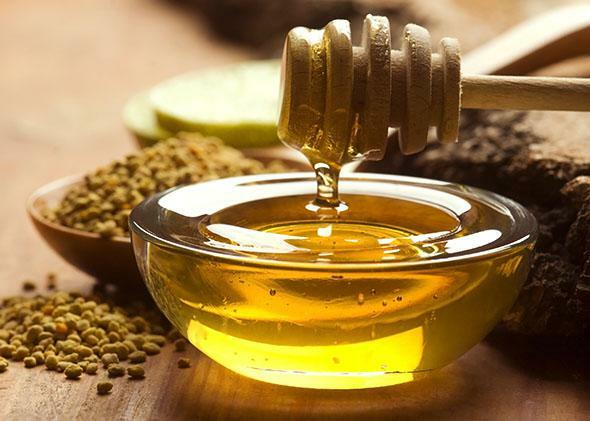 It can sooth coughs, boost memory, aide with sleeplessness, provide nutrients, makes a great workout fuel, and may help metabolize alcohol - honey shots all around! It can also be used to treat cuts and burns and can help resolve scalp problems and dandruff! 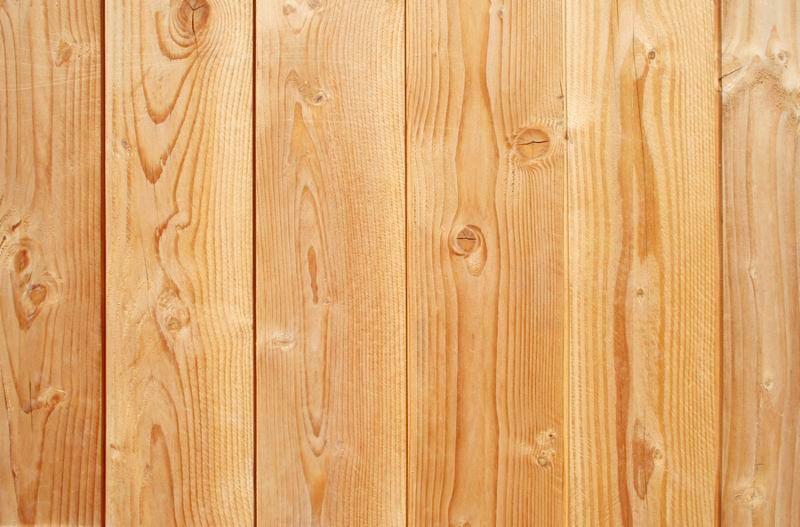 It has also been said that it can help relieve seasonal allergies. *Information obtained by http://www.mnn.com & http://www.benefits-of-honey.com . *The National Institutes of Health report you should never consume raw honey, particularly if you are already immuno-compromised. It is also dangerous to give raw honey to infants under the age of one as it may cause infant botulism, a rare but serious gastrointestinal sickness caused by exposure to bacterial spores. 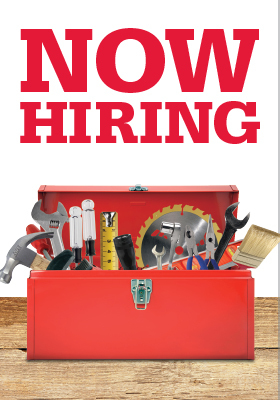 Paul's Ace Hardware is filled with energetic, creative, positive, hardworking, team members who bring out the best in each other day in and day out. We work hard, we have fun, and we celebrate each other's successes. If that sounds like you or someone you know, we're always looking for the best of the best! This email was sent to you by Paul's Ace Hardware, an independently owned and operated Ace retailer with its very own corporate offices located in Scottsdale, AZ. Neither Ace Hardware Corporation nor any other Ace retailer is responsible for the content of this email. Prices, products, promotions, people, popcorn availability, pencils and specials may vary at all independently owned and operated Ace retailers.